It’s that time of year again, folks! I’ve been working on my holiday gift guides for the 2016 season for the last month, so I’ve been super anxious and so excited to share them with you! I have more guides this year than I ever have shared before, so to fit them all in, I had to start early. Every Thursday (today through Christmas), I’ll be sharing a new guide with fresh, creative present picks for everyone on your list. In addition to my gift guides, I’ll be sharing even more gift ideas in THE SHOP and in my newsletter via the new series I launched yesterday! Subscribe today so you don’t miss them! 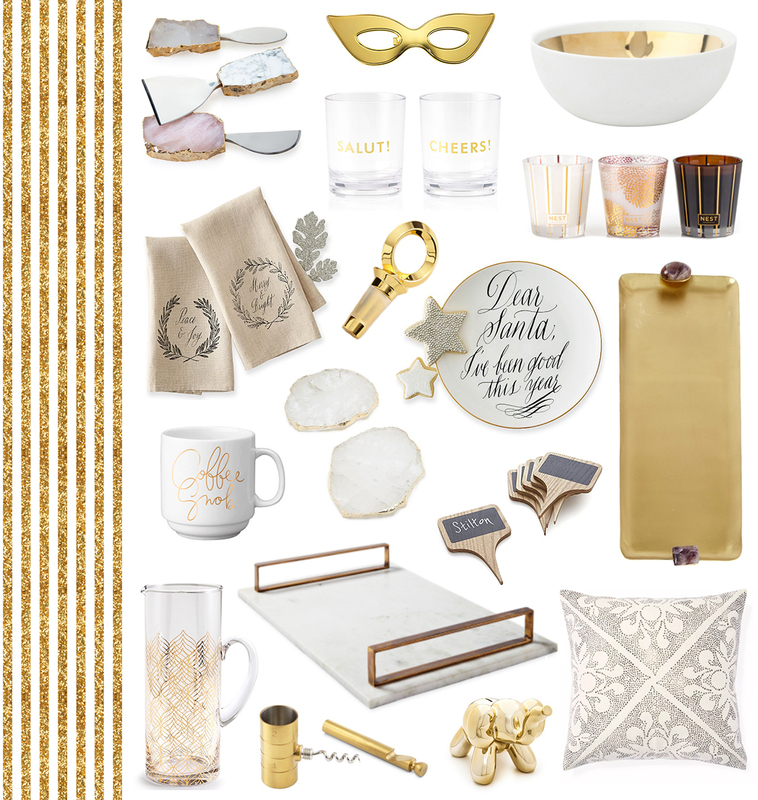 These gold pineapple tumblers would be a welcome addition to any bar cart. So adorable! These salt + pepper shakers are pretty darn cute too. This spotted lacquer tray would be an excellent layering piece on your coffee table. Time to nail that perfect vignette! For the monogram-obsessed, these personalized chambray coozies are a winner. Get these glasses for any and all of your fabulous friends. The Coveteur’s new tome would make the perfect coffee table book gift this year. Give the gift of color with one of these Jonathan Adler vases. So pretty! PS – you’ll be able to find all of my holiday gift guides in one spot HERE. Bookmark this page so you can always have access to the most recent gift guides as we go through the next couple months! These are really cute gifts for the hostess! Not going to lie, I want some of these for myself! I legitimately want all of this!! amazing picks Merritt! I agree, there are a few things in here I want! Ha!